It seems people just do not understand climate change. Some have no respect whatsoever for nature, others are so narrow minded they believe that the powers of nature are a hoax to promote green policies. 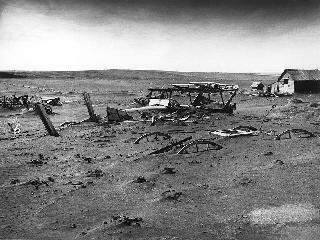 In dedication to them here are the top 9 most weird natural disasters. If they did not believe in the devastating powers of Katrina, the Asian Tsunami, or Haitian Earthquake, (which has caused thousands of losses of life) then they will sure think these where photo­-shopped hoaxes. 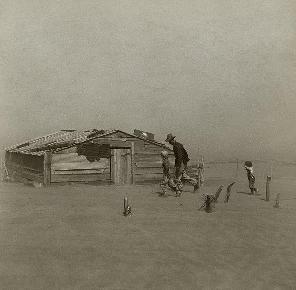 Hoping for new regulations on Climate Change, Carbon Emissions and environmental regulation, here are the tope ten weirdest and strangest natural disasters. 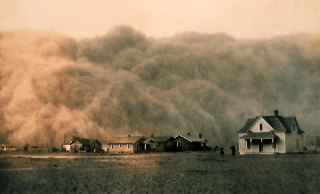 Due to droughts, irresponsible farming, decades of farming without rotating crops and the lack of natural anchors, a series of dust storm struck United States in the 1930s. They can be considered as one big storm which lasted from the year 1930 to 1940s. Have you heard about tornado warming's, and levels ? 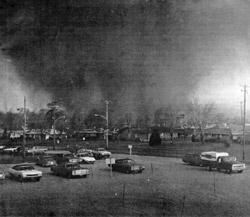 This was the tornado that set this record in the now Fujita scale and marked the Level 5, the highest. If you thought tornados are devastating, imagine a three state tornado. In 1925 a tornado made through the lines of three American states. By when it was over, all other tornados where considered small talk. This tornado called the Tri State Tornado travelled 219 miles and was among the fastest and most powerful ever documented. The pictures are among the oldest picture of tornados ever taken. A mega tsunami is different from a tsunamis because their initial waves are much larger. They can reach as much as 100 metres in deep ocean. 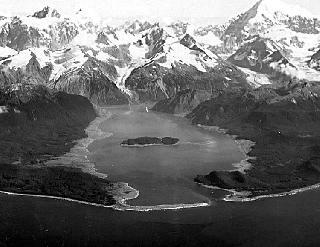 The highest wave ever recorded occurred on July 9, 1958 in Lituya Bay, Alaska. It rose 524 meters, that is more than 300 feet higher than normal skyscrapers. This was due to a combination of natural disasters. It started with an Earthquake and then the Earthquake caused a Landslide. After that the glaciers lake drained down and caused the giant wave of approx 600 metres. 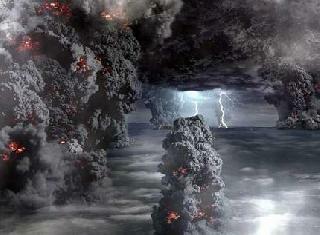 A super volcano is thousands of times larger and more powerful than a normal volcano. When they occur magma rises from the core of the Earth to the crust finding a hotspot to breach through. Cerro Galán, Catamarca Province, Argentina, is the largest exposed caldera in the World. It was formed by a super volcano 2.2 million years ago. 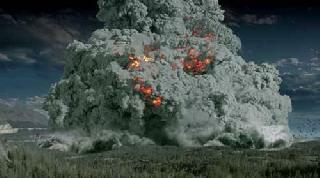 This was recorded as a Volcanic Explosivity Index of 8 (VEI-8). 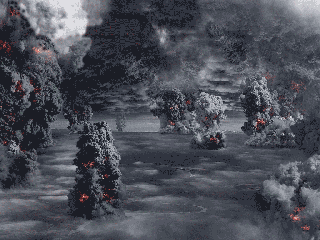 VEI 8 eruptions are massive natural events. They can throw out at least 1,000 km3. They can affect thousands of more kilometres and can cloud entire countries or areas for days. 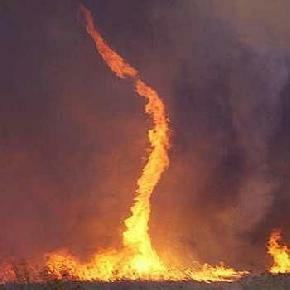 Fire Tornados or Fire Whirls are rare phenomenon. They from in certain conditions and can cause multiple wild fires which can themselves keep on with the fire devastation. A blizzard is a great snow storm. They can cause serious devastation. 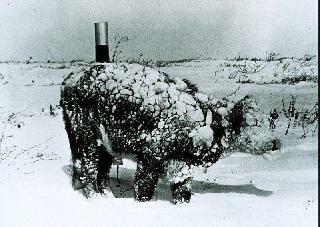 For example the last great blizzard of 1996, brought to a complete stop the US East Coast. Snow came up to 4 feet and winds caused dangerous conditions. Blizzards are followed by storm and floods. When snow melts rapids also can cause more floods or landslides. Other weird natural disasters come from Mudslide variants, Earthquakes or objects such a meteorite If landslide occur under the sea or take into the water, they can create tsunamis. Avalanches are landslides of snow, ice and rock. Volcanoes can also create landslides these are of lava. 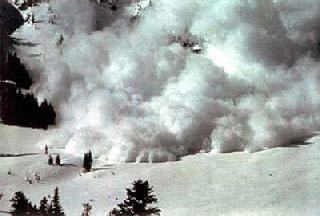 The Wellington avalanche was the worst avalanche, measured in terms of lives lost, in the history of the United States. 8. 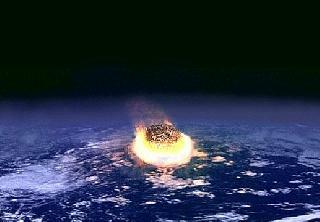 Impact event: It came out of the Sky. 9: Guess this one yourself. After all you have read and seen do you still think Climate and the powers of nature are a hoax? This article challenges you to think of number ten. Want a clue? Think of a natural disaster that could occur in your area. Do you live close to a river, close to the oceans? Do try to be as strange as you can. One thing is sure, nature has a tendency to surprise us. Some men feared and respected nature in the past times, some still do today. Ain't it all, so natural.